← April: Autism Awareness Month! I have a very special guest today! Please welcome Errika Lee, the author of Kingdom of Dala. 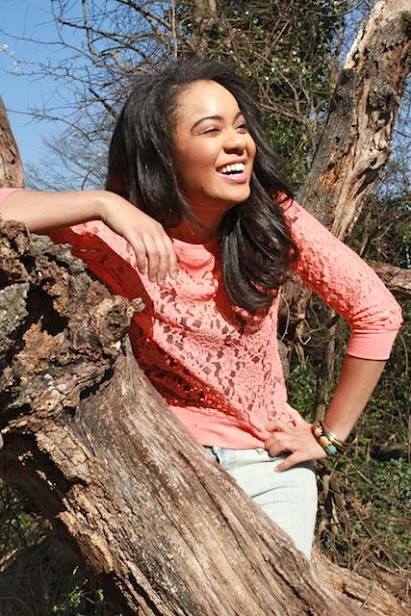 Errika Lee is a registered nurse dedicated to spreading positive messages of esoteric truth through various routes, her favorite being those that allow her to make use of her creativity. 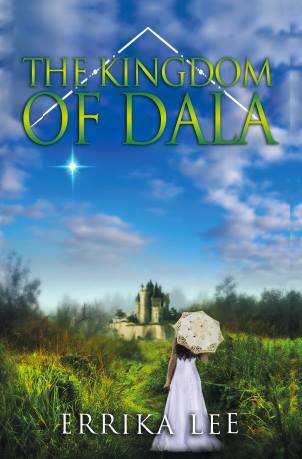 The Kingdom of Dala is her debut novel and marks the beginning of her story-writing ventures. Devoted to her spiritual studies, Errika intends to publish a sequel to The Kingdom of Dala shortly after the first book’s release in hopes of realizing a powerful message. Briefly tell us about the book(s) you have published. The Kingdom of Dala is a story that demystifies many of the elusive mysteries of this world that have for so long been unspoken about by the masses. These truths are creatively broken down within a “fantasy story” from the narrative perspective of the main character, Tessa, a senior in high school that embarks on a journey to find answers through the use of the practice of meditation. Within meditation, she mind travels to another reality of The Kingdom of Dala; where the adventure begins. What motivated you to write your book(s)? The desire to share ancient spiritual knowledge is my motivation to write fictional stories. The basis of this Gnosis story was to share various principles of ancient mysticism and other systems of spirituality within a captivating story. When I first began this story I thought to myself: how can I get people, specifically young adults, interested in ancient spirituality? The answer was my debut novel, The Kingdom of Dala. I have much more creative juices screaming to reach my computer scream. Much more to come. What do you think your book(s) offer to your readers? The book offers a compelling story with various principles of ancient mysticism spoken throughout the texts. It offers love, friendship, spirituality, creativity and an animated reality within The Kingdom of Dala. Most people love the book for its ability to capture the minds as if being vacuumed into another reality. Who is your favorite character from your book (s)? Why? My favorite character in the book is Tye. He is one of the two guys that share a love interest in the main character, Tessa. Tye is a knowledgeable mystic with a powerful presence. His love is true but will Tessa choose his qualities or the attraction of Jade, the other guy who shares an attraction to Tessa? Do you prefer pen/paper or the computer when you write? I prefer a computer. It saves time. Plus, my daughter relates my computer to mommy getting work done. I’m more likely to get work done when on my computer. What type of advice would you give other indie authors? Never stop writing! I learned this process through test and trial. As a registered nurse I didn’t major in English, Journalism or anything that exemplifies the ability to tell a story with unique or practical situations to create a well-paced story. Instead, I learned through going through the writing process, which took constant development of my own skills. Everyday I’m learning something new through my constant repetition of writing. So again, never stop writing. What do you like to do when you’re not writing? When I’m not writing I’m dancing with my six year old daughter, spending time at various Southern California beaches or studying books on various spirituality systems. Tell us something interesting about you that your readers may not know. Writing this book wasn’t difficult because I relate to one of these characters. Many people who read this story may view this book as being a fictional story, but others (you know if this is you) may identify with these “mystical” experiences as reality. Fact or fiction, you decide? Finally, if you could say something to your readers, what would it be? Thank you! Much gratitude for your time spent reading my work. One of the most fulfilling emotions is gratitude. With each review that I encounter, my heart experiences this great emotion. On a quest to discover hidden spiritual truths, Tessa finds herself accessing the Kingdom of Dala after finally taking up the daily meditation practice her parents had recommended for so long. It’s in Dala that Tessa learns the mysteries of the world, including the continuous battle between the light and dark forces, extraterrestrial creatures, spiritual awakenings, energetic realms, and the truth of her very own existence. With the combination of a newly kindled romance, betrayals, dark agents that chase her, and the preparation for the battle of all battles to come on Earth, Tessa finds herself buckling her seatbelt as her path to discovering truth will reveal the light in the secrecy of lies. The Kingdom of Dala is a tale that will bring you face-to-face with the truth of reality. Get ready to experience the journey of your life. Thank you very much for being with us today. I’ve personally read your book, and it’s very interesting- looking forward to the sequel. We wish you all the best in your literary career. Posted on May 2, 2014, in Uncategorized. Bookmark the permalink. Leave a comment.